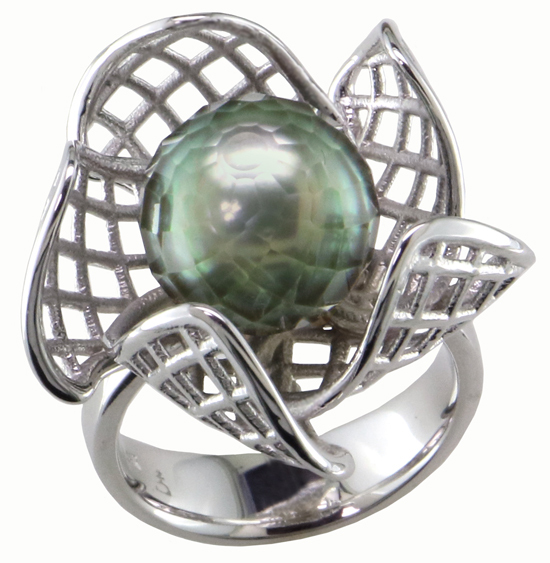 Here we have something very rare and special, a peacock Tahitian pearl that has been hand faceted by a master craftsman. Mother Nature and the hand of man come together to make a gem that is both iridescent *and* sparkling. The setting cradles this delicate beauty in a blooming digital flower made of 14 karat white gold. The pearl weighs 10.28 carats.